If you’re wondering whether or not it’s time to replace your mattress, chances are, it is. 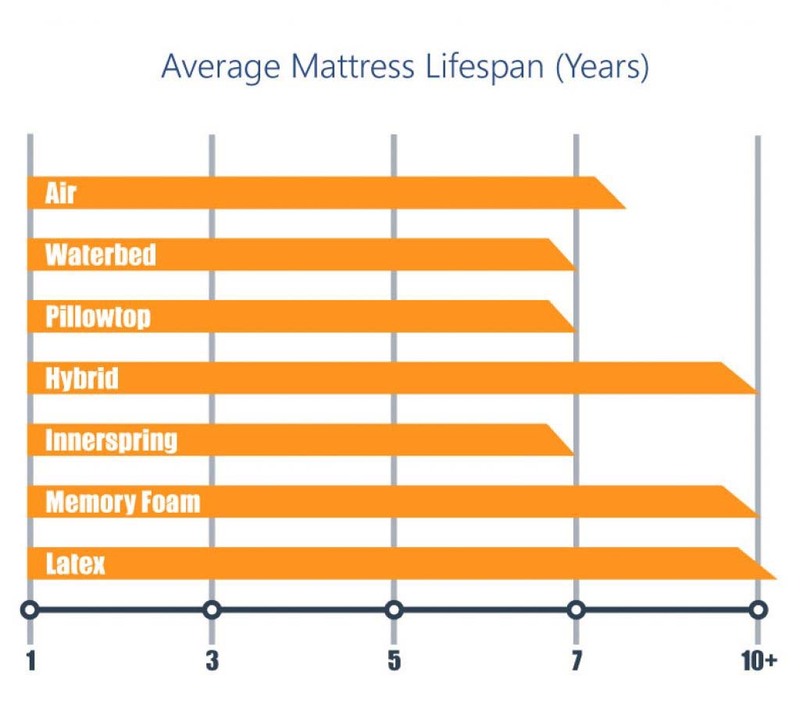 According to the National Sleep Foundation, a good mattress lasts around 8 years. If you’re having difficulty sleeping, the time frame is more like 5 to 7 years. Generally speaking, if you’re mattress is increasingly uncomfortable or is showing obvious wear and tear, it probably needs to be replaced. Keeping a mattress too long can result in poor sleep as well as increased back pain. To help you find just the right mattress, here are a few questions to ask to make the search easier. Let’s be clear, more money doesn’t necessarily mean better quality. You may believe the online sources to be of lesser quality than brick and mortar, but you would be wrong. In fact, stores can inflate the prices by as much as 1000%! Question 2: What Material Do You Prefer? This is where most of the decision making will come in. In all likelihood it will come down to personal preference. 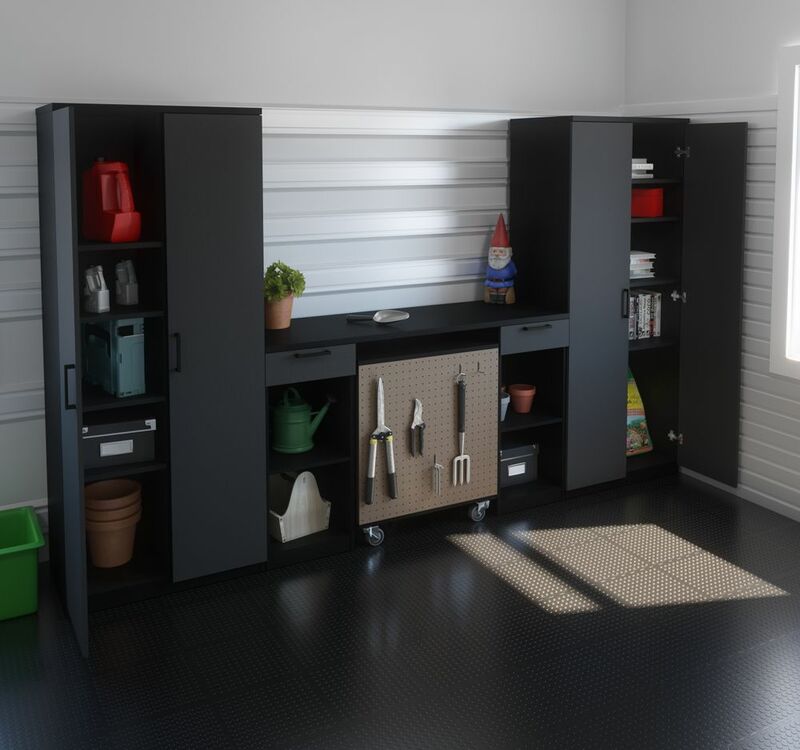 Outlined below are the most common material options you will find. The most traditional form of mattress, this is one of the most affordable options on the market. They’re also incredibly durable and can last for decades, as their springs can keep their shape for many years. 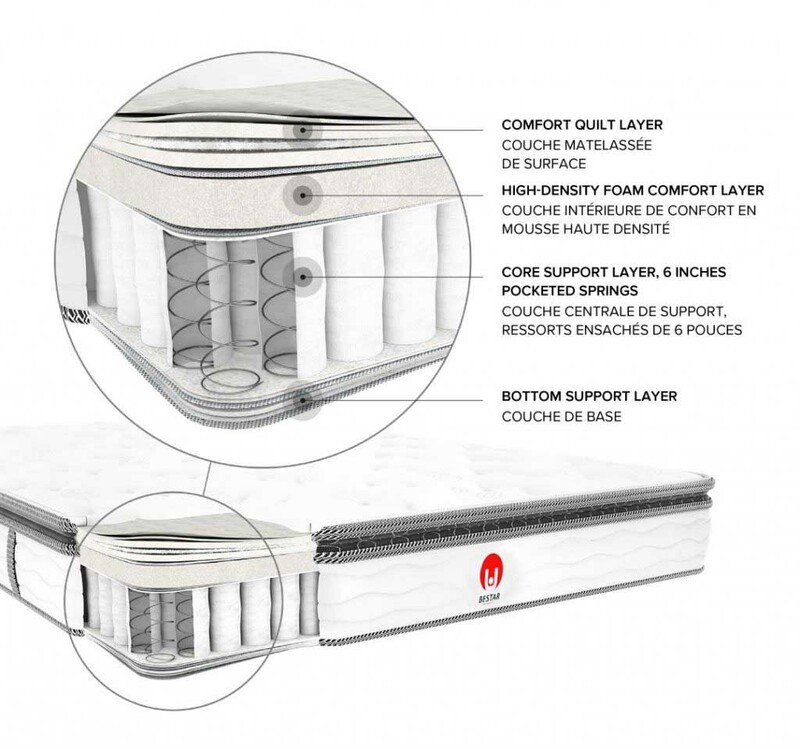 There is plenty of space between the springs allowing for good air circulation within the structure, keeping the temperature down and allowing for a cooler, more comfortable night’s sleep. It’s ideal for people looking for durability and strong support along with great bounce and a cooling effect. Also known for their effective cooling and comfort, latex mattresses also provide good bounce and responsiveness. Surprisingly, authentic latex foam is actually a natural product. Made from a tree called Hevea-Brasilenis tree, latex is derived from the white liquid extracted from it. Latex is harvested, and when the excess water is removed, the raw material can be used for various products, bedding systems being one of them. Latex also doesn’t experience off-gassing and odours such as those prevalent in memory foam products. Natural – the healthy, environment-friendly option. Also more expensive. Synthetic – Made by mixing synthetic polymers with natural tree sap. Less expensive and perhaps less healthy. Latex is ideal for those looking for effective cooling, responsiveness, and bounce. First developed in the 1970s by NASA as a safety material for seat cushions to protect pilots and passengers in the event of a plane crash, memory foam has become a popular material in mattress systems, employed by virtually every mattress maker. Its popularity is easy to understand. Press your hand into this material and its appeal and superior comfort seem obvious. Memory foam uniquely conforms to every inch of the body as it sinks into it. It only slowly regains its original form once you lift your weight off of it, essentially making it perfect for every body type and every sleeper. It is also unique for its motion isolation capabilities, entirely unique to memory foam and making for better sleeping if you’re sharing the bed. Tossing and turning of one partner will not disturb the other. 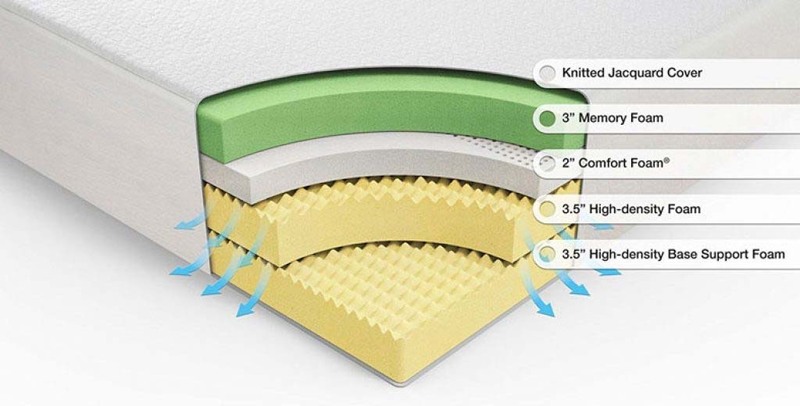 Memory foam doesn’t provide for the same air circulation as other mattress types and can result in heat retention – a downside to this material. However, it’s ideal for anyone wanting pressure relief and good support through body shaping and contour. As the name suggests, a hybrid mattress is a combination of materials. 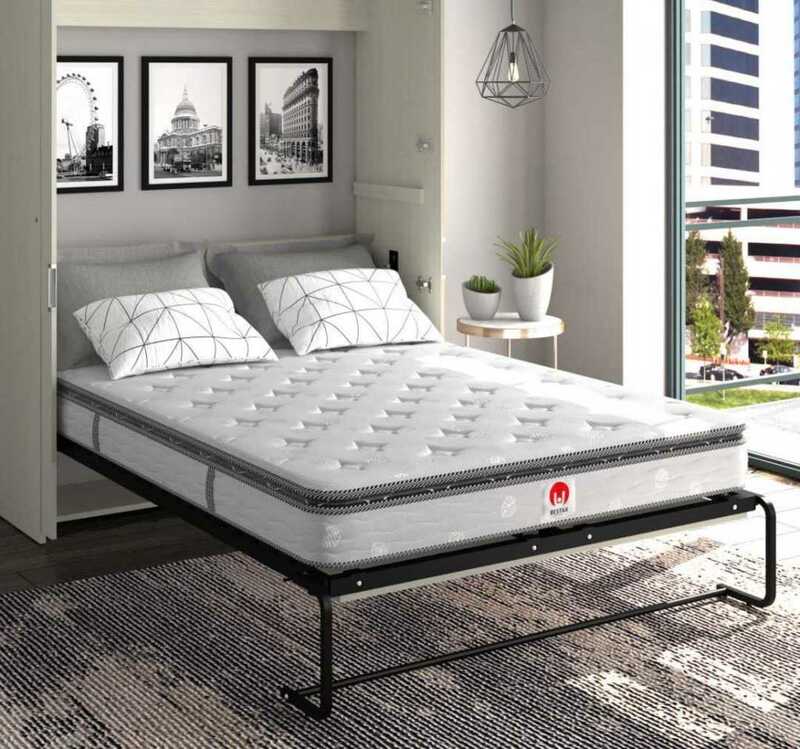 Combining both traditional spring and memory foam, it provides the best of both worlds: support and contouring, lack of motion transfer as well as efficient cooling and the durable support of springs. This is a great option for people looking for the best all-round product with good support, bounce, cooling and pressure relief. Just be prepared to pay for it! Pillow top is available with the various mattress types: coil, latex and memory foam. It’s simply a layer of soft material sewn into the cover to make it just that much more comfortable. These are also considered more luxurious and can cost a bit more than standard options. Question 3: What Is Your Ideal Firmness? We all have a unique way of sleeping whether it be side, back, stomach or a combination of the three. Choosing the best mattress comes down to consideration of your preference of sleep style. Back sleepers need firmness and support. If the mattress is too soft and allows for the body to sink, it will inevitably lead to increased chance of back pain. Side sleepers tend to endure pressure points in hips and shoulders and it’s advisable to look for a softer mattress option. 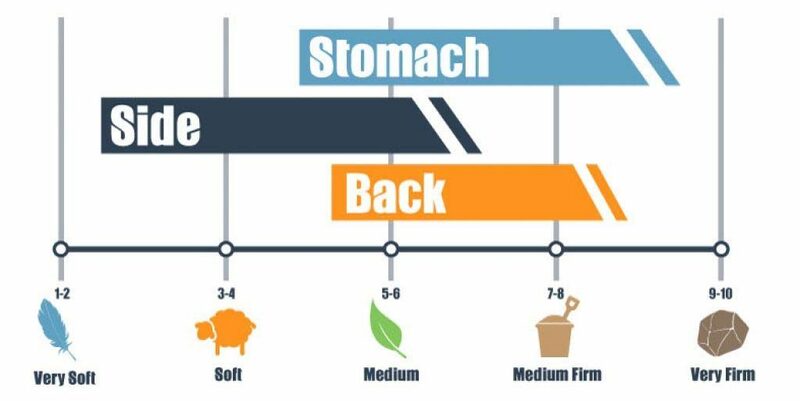 Stomach sleeping, considered the least healthy position, requires a medium-firm option so as to provide for equal distribution of weight across your entire body as your torso will apply most pressure. If the mattress is too soft (not enough support) your spine will curve causing back pain. Fortunately most mattresses are in this category. Question 4: What is Your Weight? 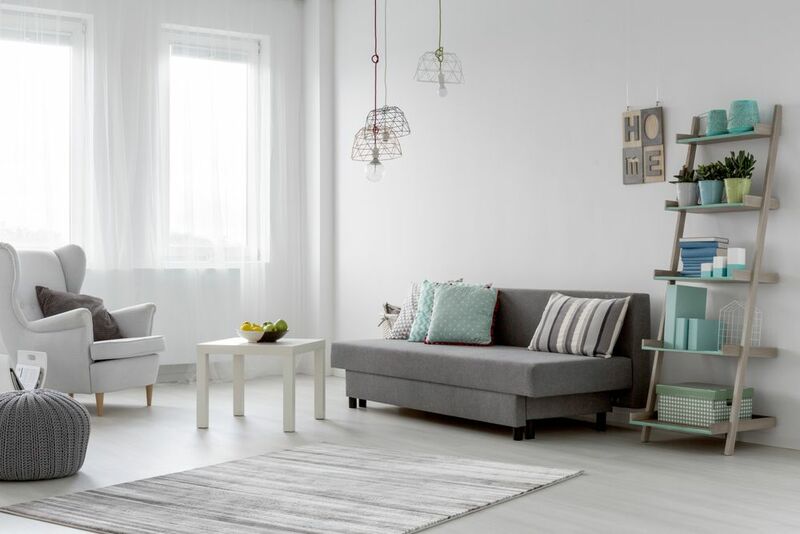 You may not have immediately considered this factor as an important one in choosing a mattress but support, firmness, and even the cooling your mattress provides will be affected to some degree by your body weight. If you are less than 150 pounds you can be most flexible with the firmness options. You can go with a medium firm bed that doesn’t sink too much and if you like to sink a little or are a side-sleeper you can go a little softer. If your weight is between 150-200 pounds, you’ve still got some flexibility and maintain comfort. You can go with industry standard of medium-firm and enjoy support but still go a little softer if you sleep on your side. Heavier individuals, over 200 pounds, are recommended to look to firmer options and if cooling is an issue, stick to coil mattresses. Ideally, choose a thicker mattress that offers good support but with a bit softer feel. A good night’s sleep is essential to overall good health. Your mattress will either help or hinder that end. Consider and choose wisely to ensure you’re making the best decision for not only a better sleep but a happier, healthier life all round.